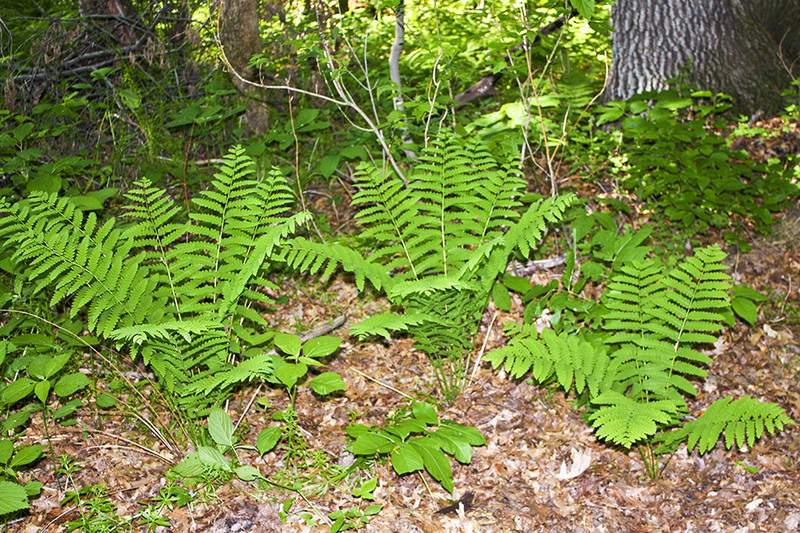 Open, moist woods, swamp margins, shaded ledges. Full to partial shade. 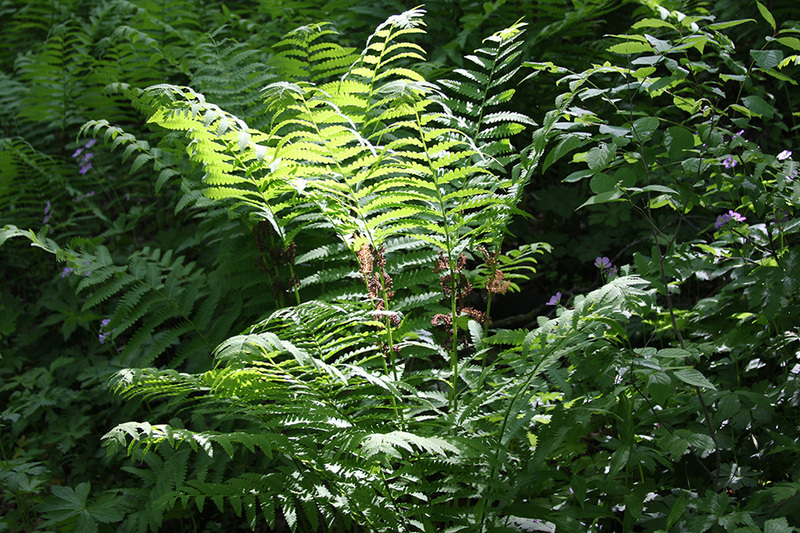 This is a large, 20″ to 40″ tall, erect, perennial fern that rises on a cluster of several fronds from a very large rhizome. It forms small, dense colonies. 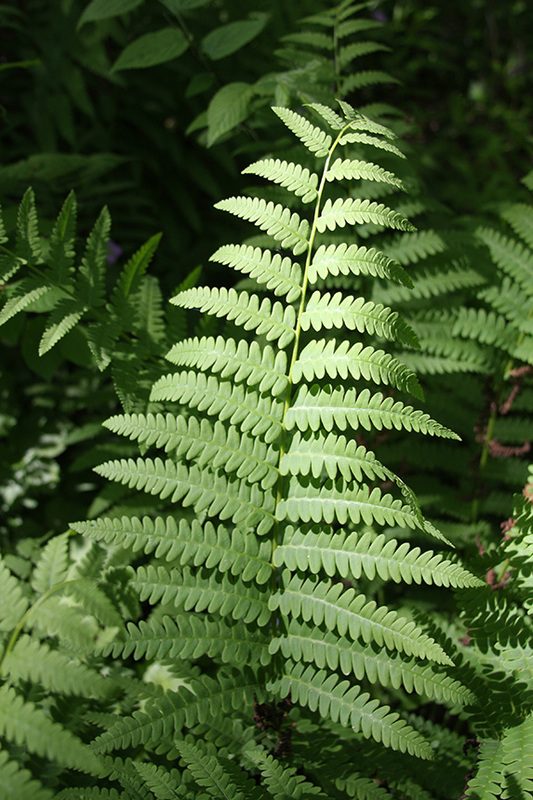 Each plant produces one to several fertile fronds surrounded by several shorter sterile fronds. 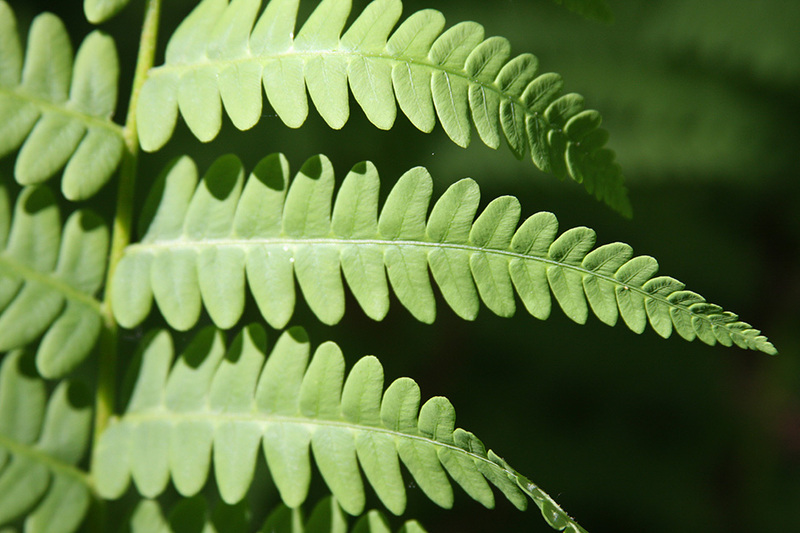 The leaf stem (stipe) is winged and is about ⅓ as long as the leaf blade. 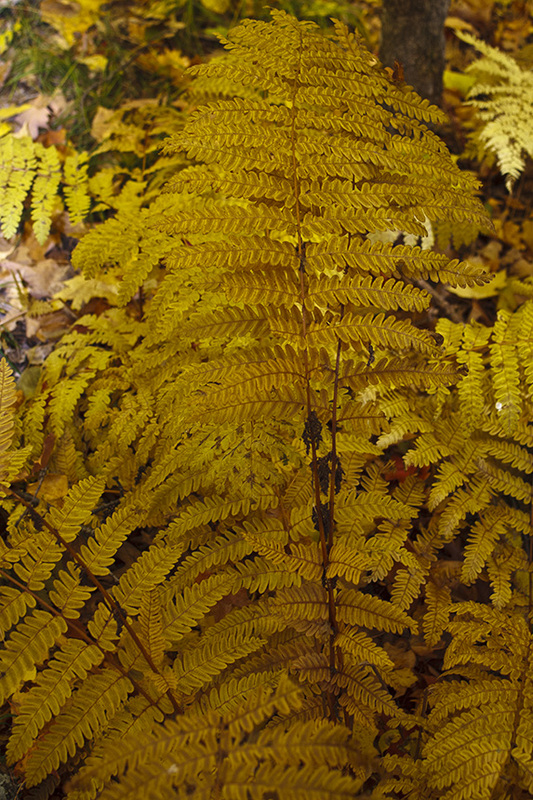 When young it is covered with orangish-brown hairs. As it ages it becomes nearly hairless. 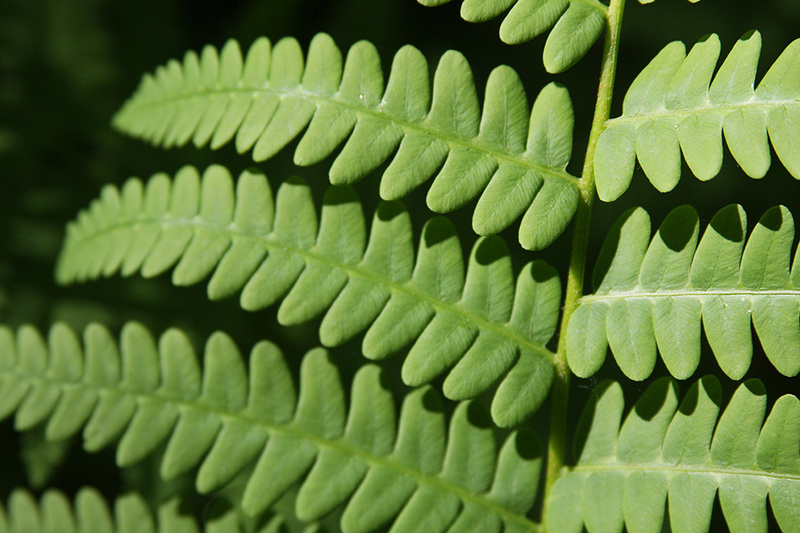 Sterile leaf blades are elliptic to oblong in outline, 20″ to 40″ long, and 8″ to 11¾″ wide. They are pinnately divided into 15 to 25 pairs of segments (pinnae). The lowest pair of pinnae are shorter than the adjacent pair, so that the blade is widest above the base, not at the base. The pinnae are alternate or almost opposite, spreading, oblong to lance-shaped in outline, up to 6″ long, and up to 13 ⁄16″ wide. They do not have a tuft of hairs at the base. 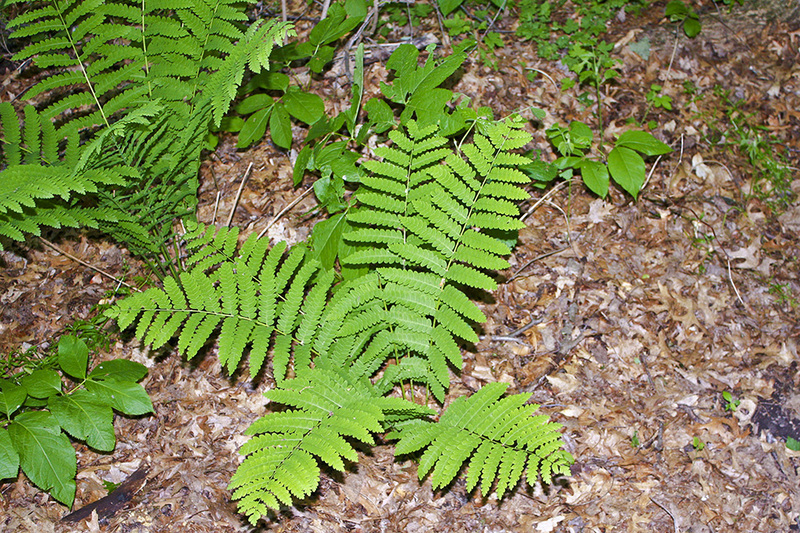 They are deeply lobed (pinnatifid), with 15 to 20 lobes (pinnules) per side. The lobes are broadly oblong, squared off at the base, and rounded at the tip. The upper side is mostly hairless. The underside is slightly hairy, especially near the tip. The margins are untoothed and do not have a fringe of hairs. 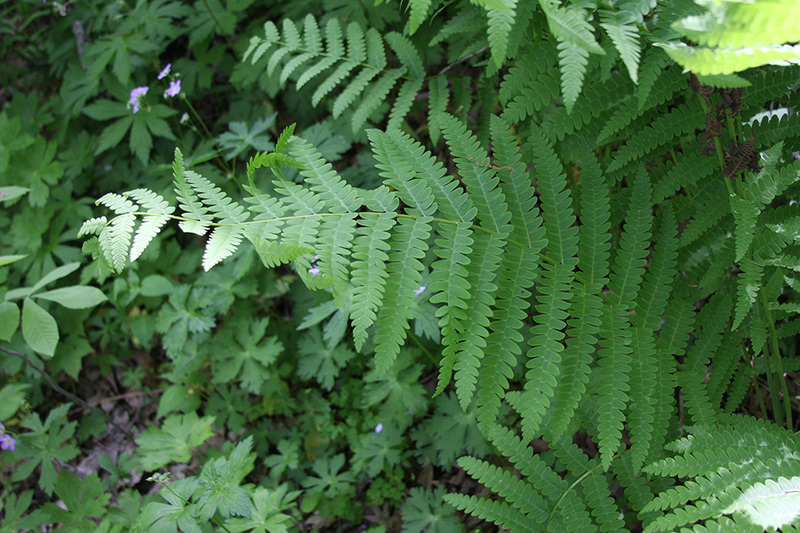 Fertile leaf blades are similar to sterile ones but taller and more erect. There are 1 to 5 pairs of fertile pinnae near the middle of the blade with sterile pinnae above and below. Fertile pinnae are medium brown to dark brown and much smaller than the sterile pinnae immediately above and below them. They are medium brown to dark brown. 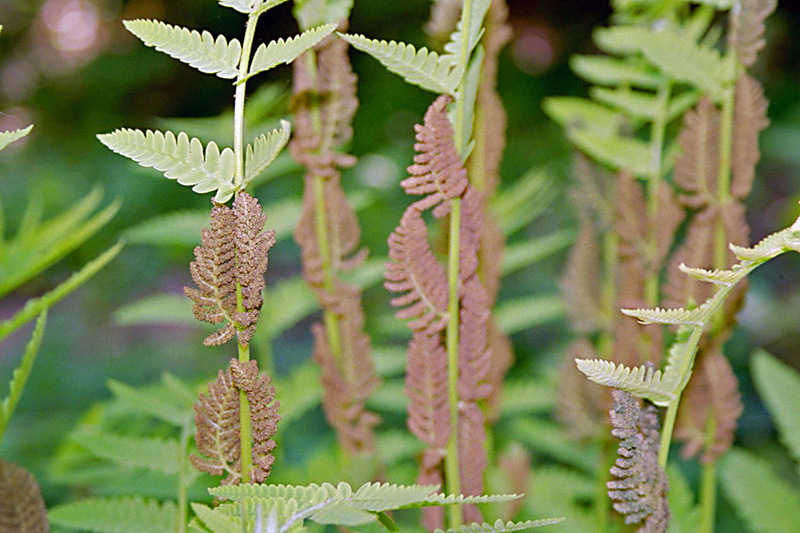 They are covered with numerous spore-bearing sacs (sporangia). 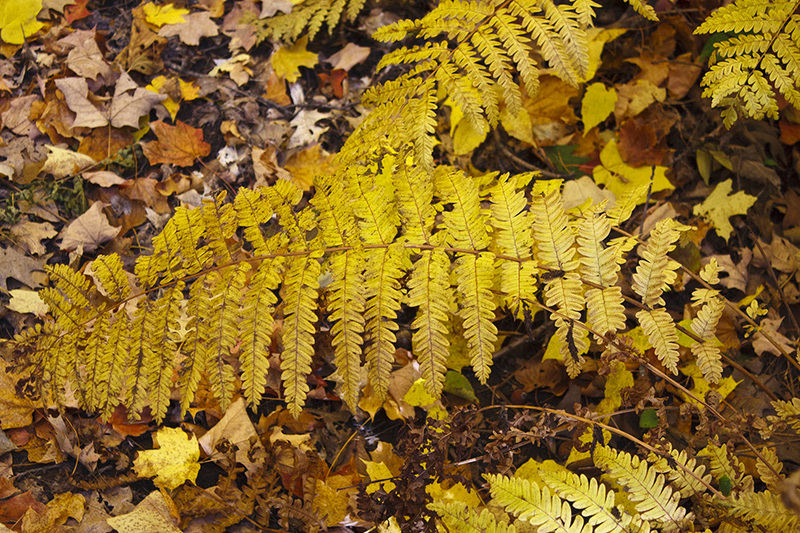 They wither early in the season, leaving the blade with a gap in the middle, giving this plant its common name. 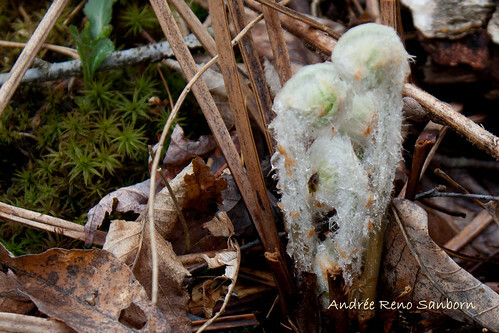 Spores are produced from late April to May. 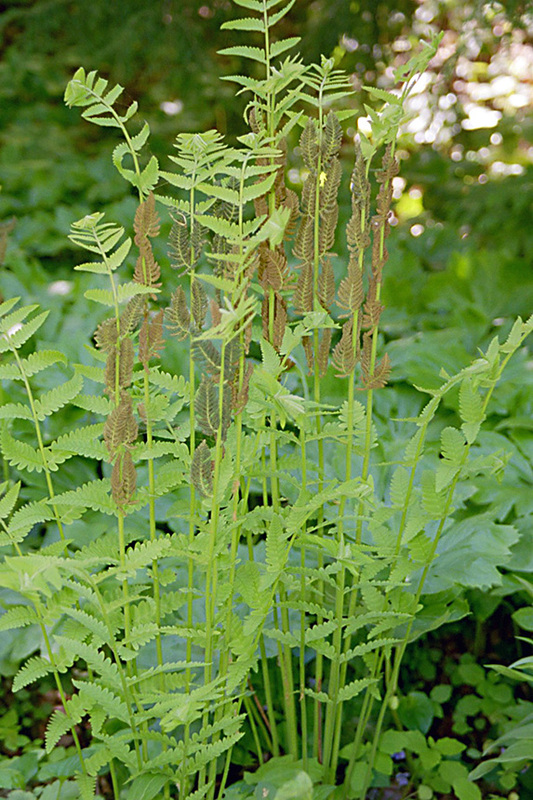 Cinnamon fern (Osmunda cinnamomea var. cinnamomea) fertile fronds are much shorter, rigidly erect, and turn cinnamon-colored when they mature. There is a tuft of brown hairs at the base of the sterile pinnae.